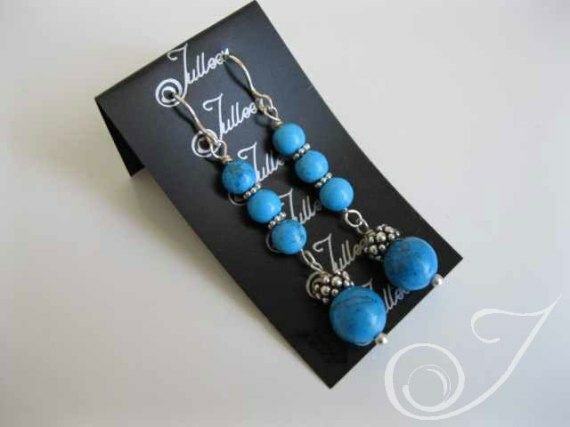 Triple Turquoise 6 -10 mm Beads, Drop Gemstone Earring with all sterling silver spacers and hand molded hook. One of our most popular designs. As you can see by our model below, our sterling silver earring hooks hug perfectly to the ear lobe tip, making the design sit high. This enhances the overall look of the earring, making it look neat and very flattering.